Disney has all the means to become the “world’s leading content company,” writes Steven Cahall, an analyst at RBC Capital Markets. The company could spend $US30 billion annually on video-streaming content, far outspending Netflix, which plans to spend $US8 billion on content this year. 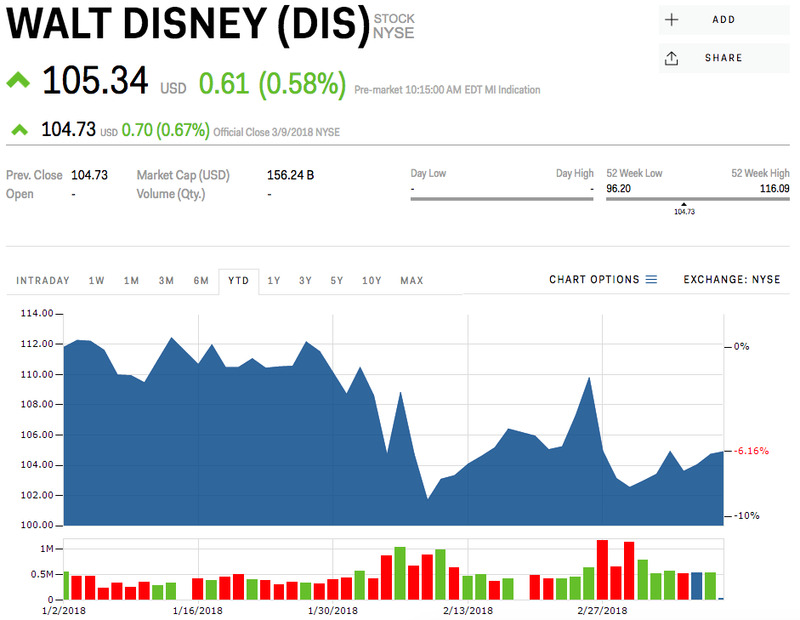 You can view Disney’s current stock price here. 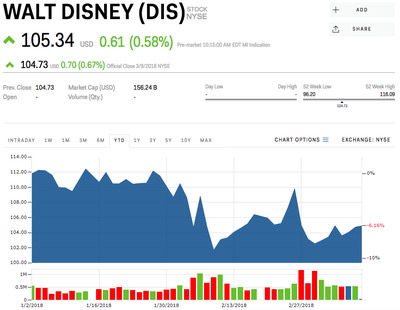 Move over Netflix.Disney is poised to dominate as “arguably the world’s leading content company,” an RBC Capital Markets analyst says. With the 21st Century Fox deal awaiting regulatory approval, the tie-up, which includes video-streaming service Hulu, could result in Disney spending roughly $US30 billion annually on content, RBC’s Steven Cahall estimates. This will put the company “in a league of its own,” he said. By comparison, Netflix plans to spend anywhere from $US8 billion on new and original content in 2018, in addition to marketing. Disney also has the advantage of using its unparalleled customer engagement, as well as its theme parks and cruises, to draw an organic and global audience. Aside from Disney’s mass appeal to families, Hulu also offers a way onto the screens of a more adult-centric audience. Hulu already has more than 17 million subscribers and Disney could spend $US15 billion annually to add to the platform’s content offerings and attract a growing audience, Cahall adds. “The potential scale of DIS DTC [direct-to-consumer] + Hulu is the real deal,” Cahall said. For every 1 million subscribers, Netflix gets $US1.3 billion in market cap, Cahall calculates. At this ratio, a couple million Disney and Hulu subscribers would result in a potential 20% upside to the current share price. Cahall boosted Disney’s price target to $US135 per share, roughly 30% above its current share level. 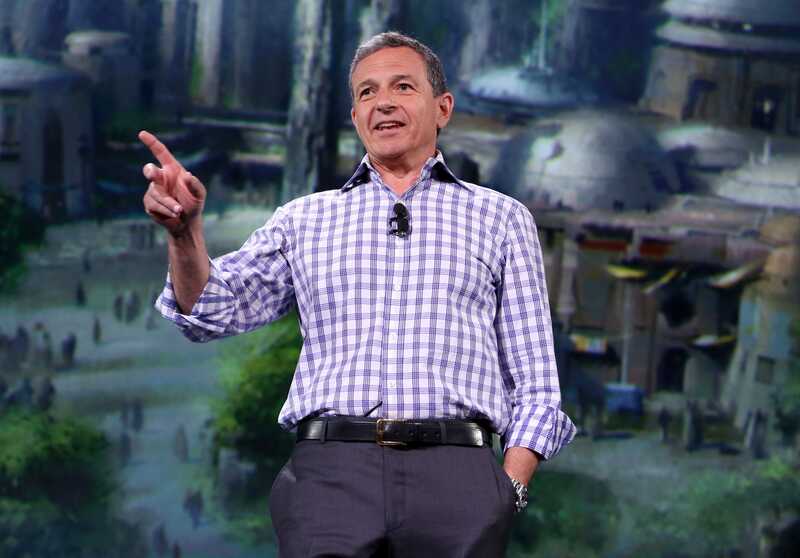 Disney’s stock was trading at $US104.93 per share on Monday. It was down 6.16% for the year. Read more about how Netflix’s competitive advantage is the ‘positive halo’ its created around its content.